My first experience of kolaches came on a family car trip where we pulled over for gas in this little town north of Waco. Inside was a small case of pastries and a family of extremely blond people speaking a foreign language that was not Spanish. Hmm… Come to find out that the pastries and the people were Czech and after czeching out the eatables we were converted. Turns out they were called Kolaches. And Kolaches, if made correctly, offer the perfect ratio of yeasty buttery dough to jammy filling – good for getting the back seat of the car sticky (sorry Mama) but worth it especially if you’re not the one cleaning up the car. So what’s the background here? Keep reading. But first a spelling lesson. ‘Kolache’ is plural for ‘kolach’ which means wheel in Czech. It’s a general reference to the round shape of the roll which is hollowed out with your fingers and filled with cream cheese and jam. And oh yeah, it’s pronounced ‘ko – lah – chee.’ And according to some purists if you fill them with sausage and roll them up they should be called ‘klobasniki.’ which is not an authentic kolache but tastes real good and which are hanging out in the back of the photo above, although not in rolled form. And even though ‘kolach’ means wheel they are frequently square but no matter the shape they taste great. 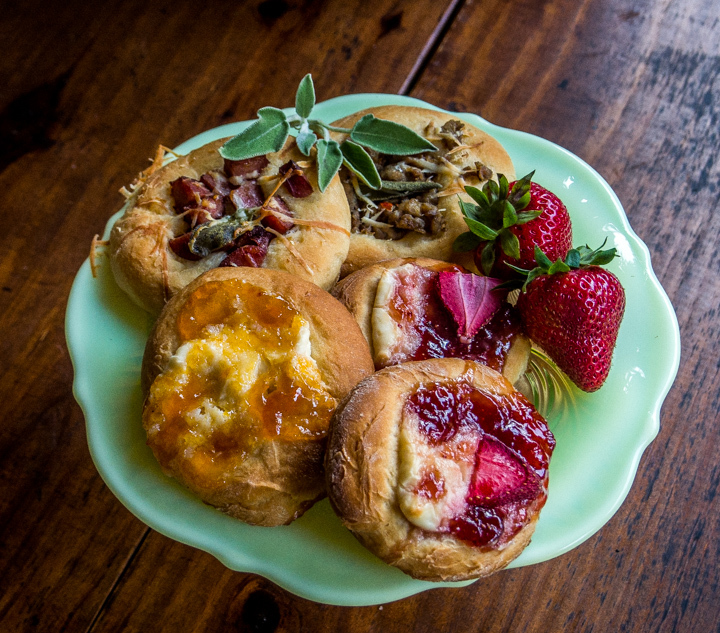 If you find yourself in Austin you can get them at Lone Star Kolaches but if you are on the road and in West, Tx (not west Texas the geographical area but ‘West’ the city) you can get them at the Village Bakery. But on to the prep which starts with the dough. 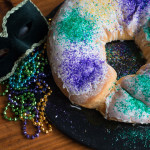 There are three rises to this recipe which is less daunting than it sounds. Just multitask while the rises are rising and you’ll be fine. While you’re following the directions below just remember when you’re kneading not to add too much flour. This should be a soft dough. Kneading it in a bowl is a great way to achieve a smooth glossy dough ball without over flouring. Just hold the side of the bowl with one hand and knead away with the other. Saves a lot of mess. The first rise is the milk/yeast/one cup of flour portion. Second rise comes after you work in the remaining flour and knead it till smooth. Third rise (and last one thank goodness!) you will punch down the dough and form into small dough balls & flatten out to about 3 inches and let rise for about half an hour. Then you’ll hollow them out gently with your fingers until you have enough space for the filling. Try to go as close to the edge as you can. Brush gently with the remaining melted butter. Fill with the cream cheese, jam and top with a slice of whatever fruit matches the jam. And a note about the cream cheese. I use less sugar than most other recipes because I find that the tang of the cream cheese is a better foil for the jam than sweet jam on top of too sweet cream cheese. 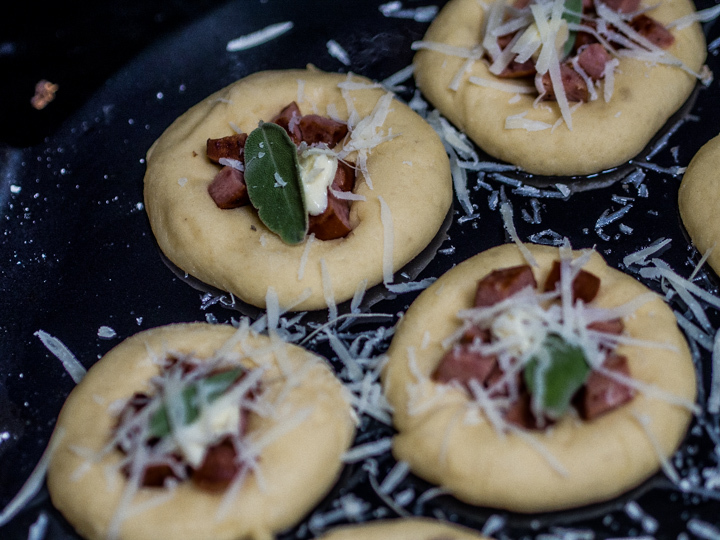 These savory inauthentic kolaches are great with a little grated cheese on top and I added the sage leaf because I had it on hand and it tasted good in a crispy baked state. Now they’re done. Beautiful, tasty and wholly worth the effort. 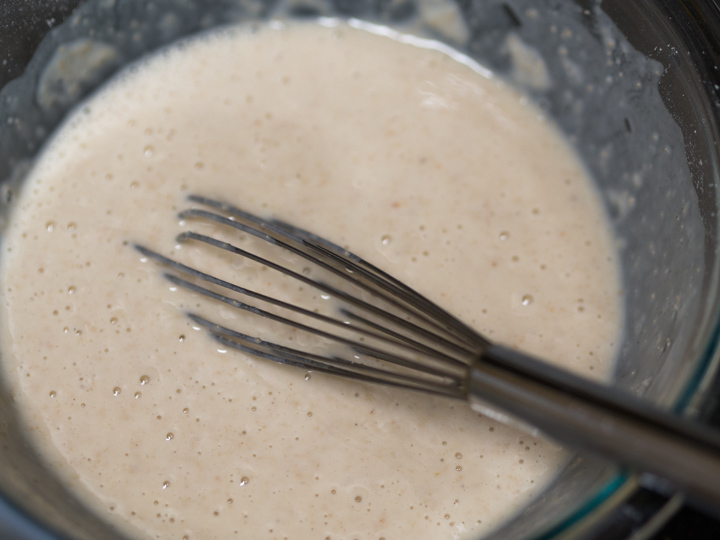 In a large bowl, combine yeast, warm milk, sugar, and a cup of the flour. Cover and let rise until doubled in size. Beat the eggs, ½ cup of melted butter, and salt. Add egg mixture to yeast mixture and blend. Stir in about 2 more cups of flour, ½ cup at a time. The dough should be very soft. Knead the dough for about 10 minutes. I do it right in the bowl with one hand so as not to need to add too much flour. When it starts to pull away from the sides it's ready to rest. Cover and let rise for an hour. After the dough has risen, punch it down and pull off egg-sized pieces. In your hands, roll pieces into balls and then flatten to about 3 inches in diameter. Brush with the remaining melted butter. Place flattened pieces on a greased cookie sheet, cover and let rise again for another half-hour. 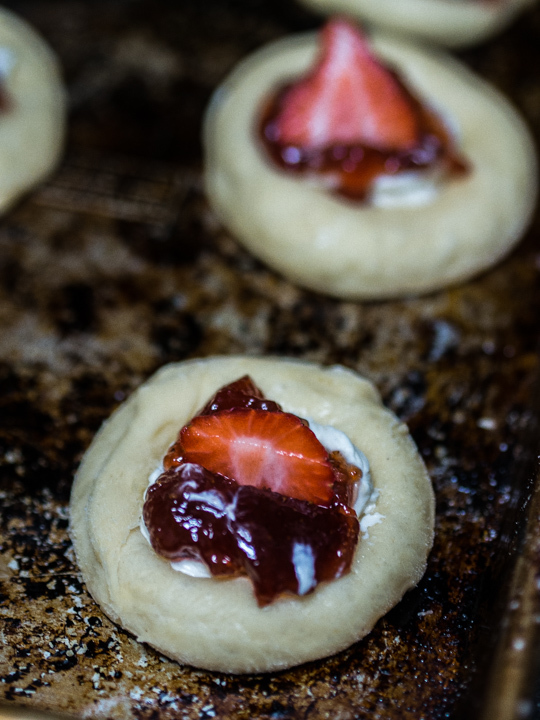 Next hollow out gently with your fingers a round space in the center and fill with a teaspoon of the cream cheese mixture and top with jam & fresh fruit if you have it. If you are preparing the sausage version you can leave out the cream cheese. Bake in oven at 375° F for 12 to 15 minutes. You can use nutmeg in the dough for the savory version, lots of sausages have it, but it's your choice. Grillades is the breakfast dish you make at night. Wake up, put the pot on to warm and start making the grits. 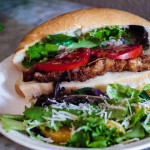 In less time than it takes for people to stumble into the kitchen you will have prepared a delicious, complex and filling meal that will keep family and/or guests full for hours. Although a classic brunch dish usually eaten out, it can be a lifesaver on holidays when you have lots of people but need something to feed the masses which can be served stoveside. To start you must flour and saute the meat in batches like this: And note that you can also slice it into strips as I did before adding it to the gravy. Once everything is well mixed lay the meat into the gravy making sure it is covered then put the top on and cook until the meat is fork tender. When it’s done you can either serve or refrigerate for the next day. The other critical component is the grits. 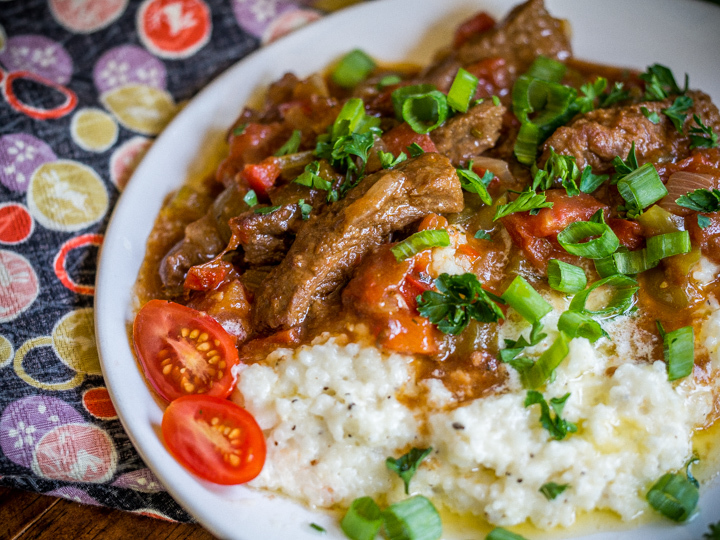 Grits are simple as long as you follow a few simple rules. They should be stone ground, stirred well, and salted & peppered thoroughly…and fresh pepper too. 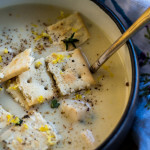 The liquid can be water but for really delicious grits I use chicken broth and heavy cream. The heavy cream suggestion came from the owner of the Refuel Café on Hampson Street. He has the best grits in town and that’s why. 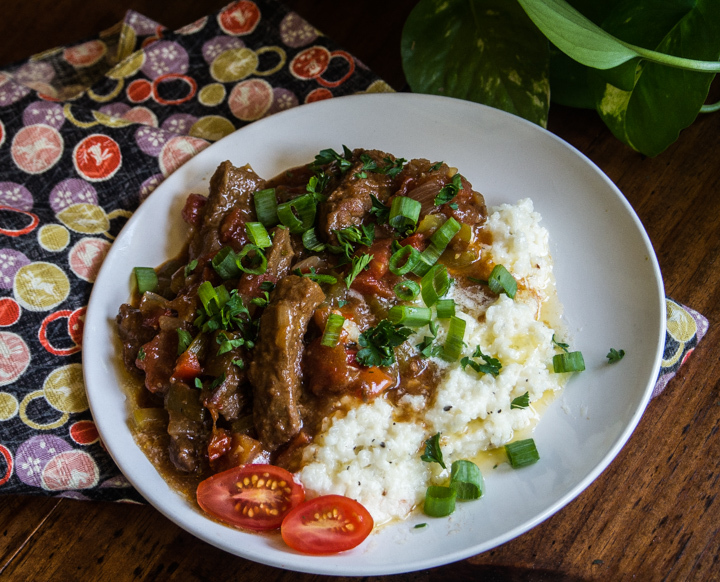 And even though the grillades are swimming in gravy, don’t forget to add some butter to the grits (as seen below, pooling around the edges). 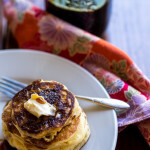 Eat this for a late breakfast and it’ll last you to mid afternoon. Happily! 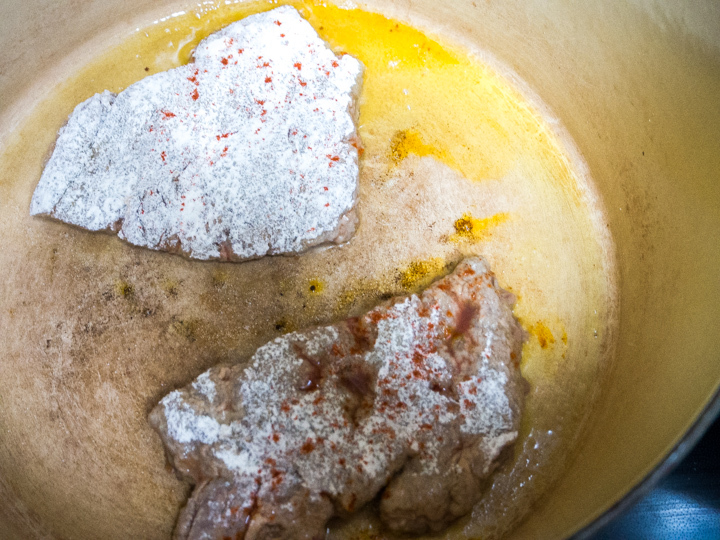 Pound out meat until about ¼ inch thick, then dredge in flour. Heat to medium a large pan and pour in oil. Place in pan to brown on each side. Prepare in batches and set aside. 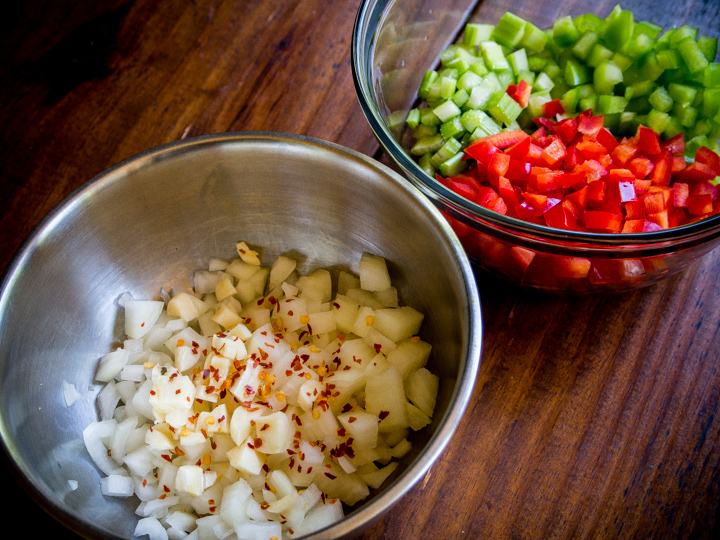 Add onion, green & red bell pepper, garlic and celery and saute for 5 minutes or until softened. Add beef consume, diced tomatoes, fennel, thyme, paprika and bay leaves and give it a good stir. 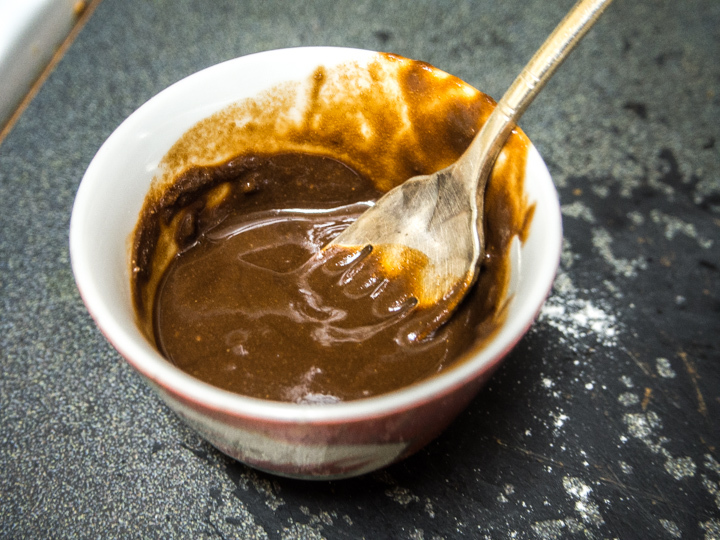 Take the flour from dreadging & enough wine vinegar to make a thick paste then stir into sauce slowly to thicken. Lay in the meat & make sure it's submerged in the sauce. Cover & cook on low for 2 hours or in the oven at 225 for the same amount of time. If you cook on the stove top check to make sure the bottom isn't burning. 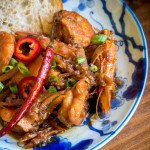 Combine all ingredients, cook over a medium flame and stir continuously until done. Be careful when adding salt if you use canned beef consume. The canned soup is very salty. Leftover canned pumpkin much? Then keep reading for a delicious way to use it up. 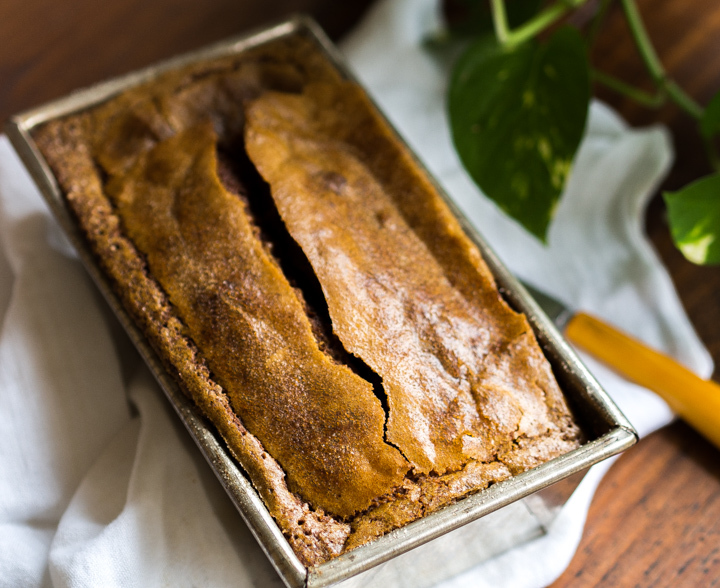 This is a sweet (but not too sweet) quick bread that is feather light & super spicy. 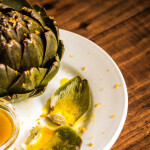 The key is substituting olive oil for the usual butter and cooking it in a very low & slow oven. Cooking at 325 degrees does two things. 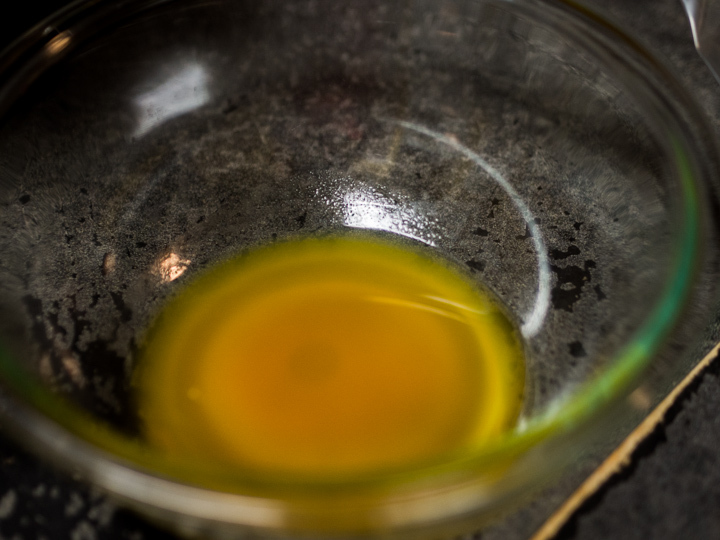 It allows you to retain all the nutrients in the extra virgin olive oil and it renders a sugar dusted crust that cracks beautifully but does not burn. There aren’t many tips I can add other than those below, but, big but here, you must drain the canned pumpkin or you’ll end up with a soggy mess. Put it in a strainer as pictured below and let it drain for at least half an hour. You can even do this, leave it in the fridge overnight, and bake it the next day. When measured it came to a full third of a cup. Skipping this step can seriously waterlog your loaf so don’t skip it. The other must do is grating the nutmeg. Fresh is always the way to go with nutmeg and ultimately cheaper when bought whole from the bulk bin at the grocery store. And that’s it. Make this and you’ll use up your pumpkin, make your house smell wonderful and perfume it all over again when you toast the leftovers. Line a standard size loaf pan with parchment paper (or you may also just grease it). 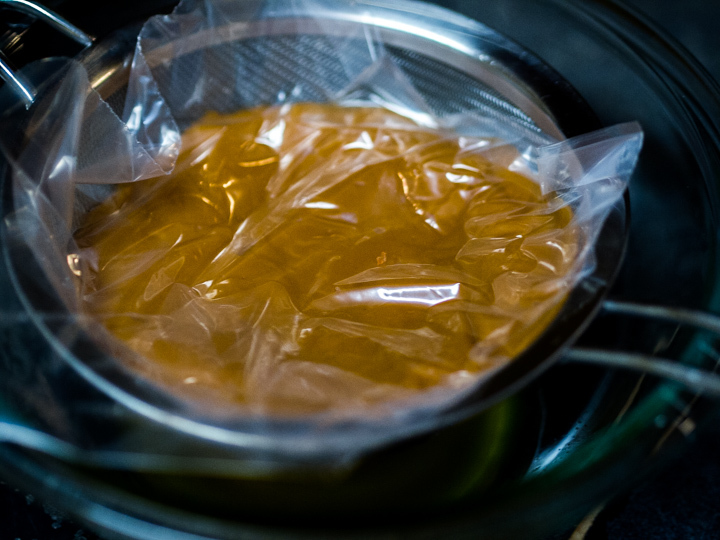 Put the pumpkin in a strainer, cover with plastic, and let drain for awhile. Don't even think about skipping this step. The average can will yield ⅓ cup of watery residue which will gum up your final cake. Whisk together the flour, baking powder, baking soda, cinnamon, nutmeg, cardamom and cloves. Set aside. 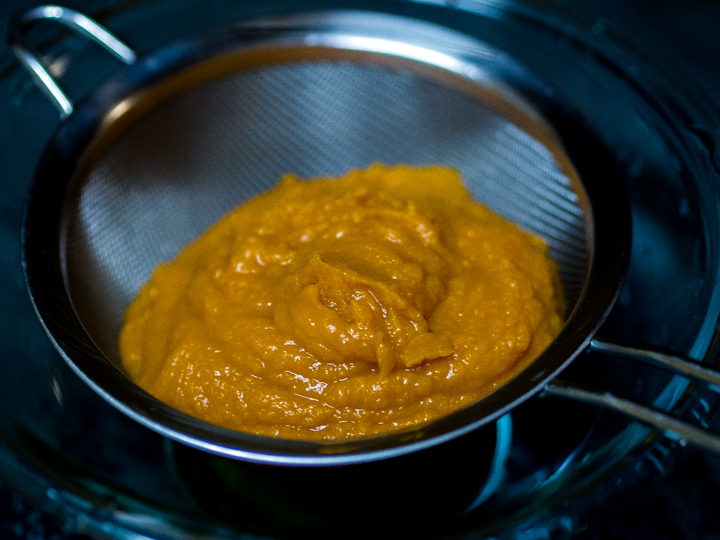 In a large bowl, add the oil, sugar, pumpkin puree, and salt. Whisk until combined. Add the eggs one at a time, mixing well after each until completely incorporated. Sift the dry ingredients over this and stir with the spatula or a wooden spoon until just combined. Pour into the pan and smooth the surface. Sprinkle evenly with sugar. Bake until a cake tester comes out with few crumbs clinging. The cooking time will vary widely depending on the size of the loaf pan so continue to check. This standard sized loaf pan was in the oven for about an hour and fifteen. Remove from the oven and let cool in the pan before slicing. Nothing is more perfect as a light weekend breakfast than Creole Eggs Cocotte. And now that the pendulum has swung back to a place where conventional nutritional wisdom is allowing us to eat the entire egg it’s time to indulge in its creamy goodness. 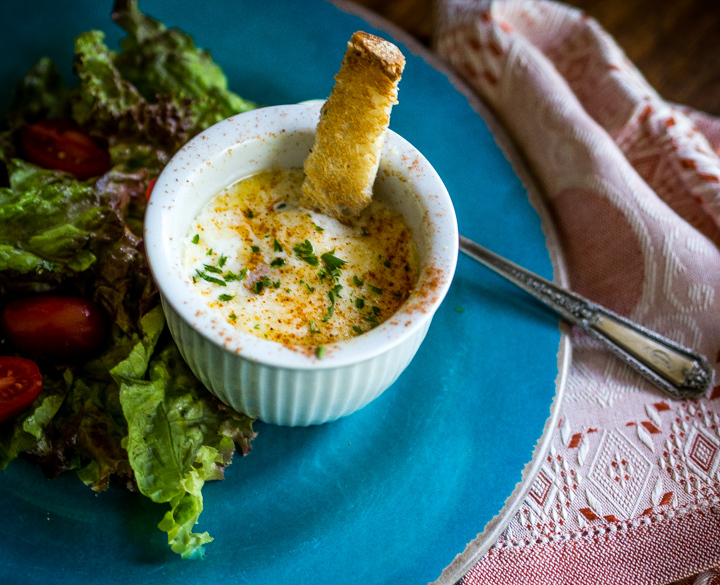 To prepare you will just do a quick buttering of the ramekins, plop in the cream cheese or boursin in the bottom with optional add ins such as crab meat or crumbled bacon, and top with whatever is your favorite cheese. Aged Gruyere and goat cheese are my favorites but you will no doubt have your own so start experimenting! Next you’ll crack in the egg and drizzle the heavy cream around the sides. Place in an oven proof dish which you’ve covered with a folded towel and carefully pour in warm water to the depth of about an inch or two. Soldier or civilian your tangy cream cheese enhanced egg and toast are best accompanied by a light salad which will give you all the energy you’ll need for a relaxing weekend. Butter ramekins and put cream cheese on bottom. Pour the cream around the edges & sprinkle salt, pepper & grated cheese on top. Fold a towel and place in an oven proof pan, then add about 2 inches of warm water. Place in the middle of the oven and cook to desired doneness. Check after about 10 minutes. 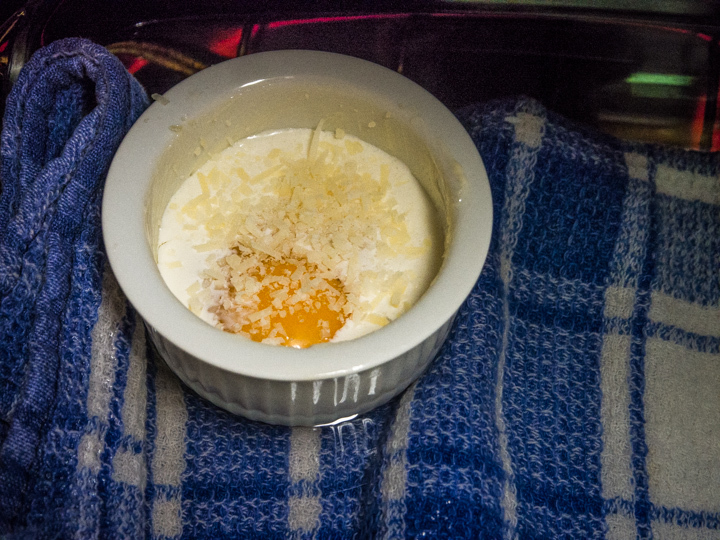 Unless you prefer very hard cooked eggs the cocotte should have a little jiggle when removed from the oven. Keep in mind that it will continue to cook after being removed. 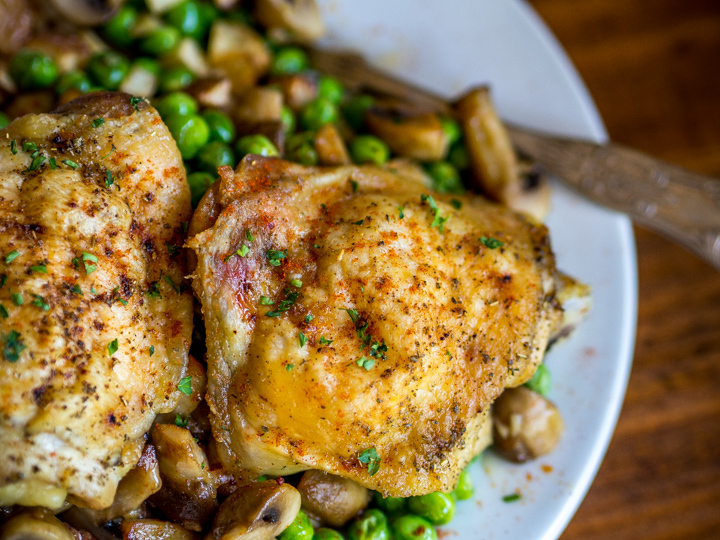 This can be easily done in a large toaster oven for two servings.